Ladies' Day at the Ebor Festival sees glamour and fashion takeover at York racecourse, where racegoers can be seen adorning spectacular outfits and hats all over the racecourse. Hospitality guests will be dressed in their finest to celebrate another day of first class racing at Ebor, as guests enjoy the sumptuous offering of entertainment on offer. 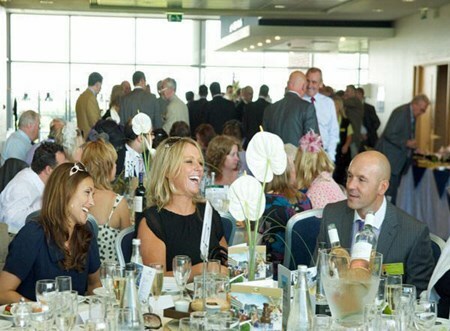 Hospitality Finder provides a selection of Ebor Festival hospitality packages, allowing guests to savour superb cuisine and complimentary drinks throughout the day at York racecourse. 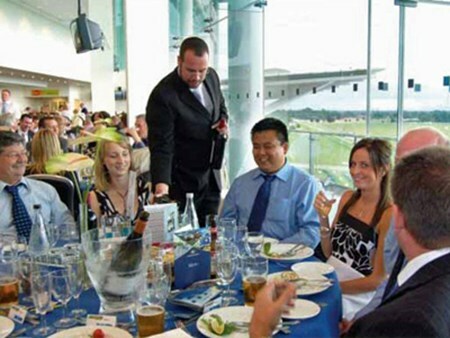 The award winning corporate entertainment available in this glass fronted restaurant creates a truly fabulous hospitality experience at York racecourse. Gourmet dining and fine wines keep guests entertained, along with panoramic views of the racecourse and the private terrace overlooking the parade ring. Private tables are available for groups of 10 or 12, with smaller groups accommodated on a shared basis. The Voltigeur Restaurant prides itself on being one of the most luxurious hospitality suites at York racecourse. Attendees can relax and enjoy the sumptuous cuisine on offer in the plush setting of this recently revamped facility, in addition to prime viewing seats located just a few feet away. Private tables are available for groups of 2 to 12. Table service complimentary bar includes, selection of fine wines, branded spirits, draught beers & ciders. Can't find your favourite Ebor Festival - Ladies' Day package?